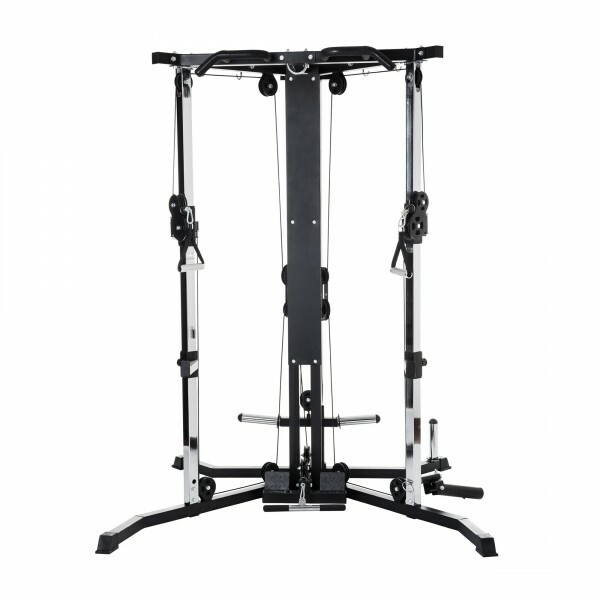 The Taurus cable pull module FCM combines strength and mobility training. Both cable pulls on the sides can be multiple adjusted in height and offer an unbelievably big variety of exercises. The cable pulls can be used simultaneously or separately - depending upon the exercise. The resistance is generated by the weight plates. 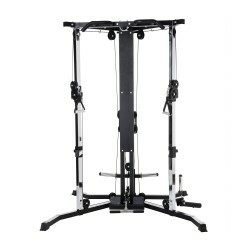 You can load the holders with weights as required and adapt the weight to the exercise and your training level. The Taurus cable pull module FCM is supplied with practical accessory and a very good equipment. The delivery includes, for instance, two classic strength handles for the training on the cable pulls. Furthermore, the racks for a barbell bar are included in delivery. These can be individually positioned in height. In combination with a weight bench, you can also do bench press with the Taurus cable pull module FCM. For the lower cable pull, a short bar is provided. In the sitting position, you can train rowing and your back, in the standing position, you can train your biceps or shoulders, for instance. Furthermore, the Taurus cable pull module FCM is equipped with a chin-up bar with four grip possibilities. On the side, a pivoted holder for barbell bars is mounted. This core trainer allows functional exercises like T-Bar rowing. At the back, there are holders for weight plates; when these are loaded, the module offers an even higher stability. 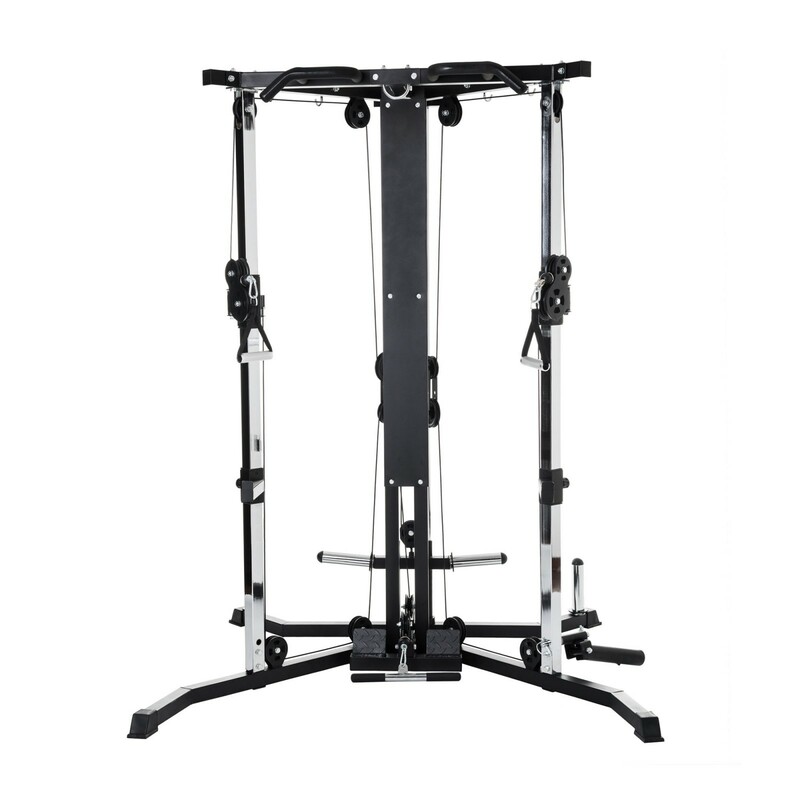 It is practical, when you want to mount a sling trainer on the Taurus cable pull module FCM or you want to store the weights clearly and properly after the training. The frame of the cable module is made of extremely hard-wearing, steel tubes. The frame is either coated with a black powder coating or a chrome coating - and it is thus well protected from scratches or corrosion. Due to the wide foot, the Taurus cable pull module FCM can be individually placed in the room. It also fits in a corner of the room, because all exercises are done to the front. Taurus cable pull module FCM add to comparison list.